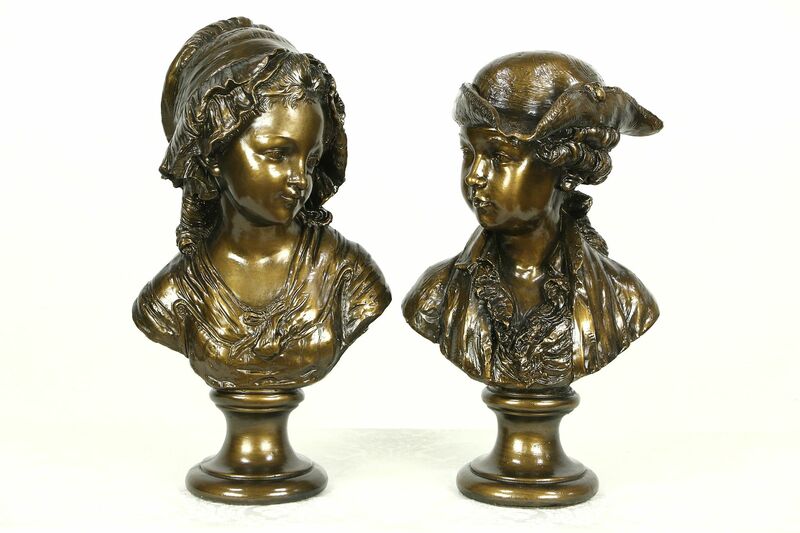 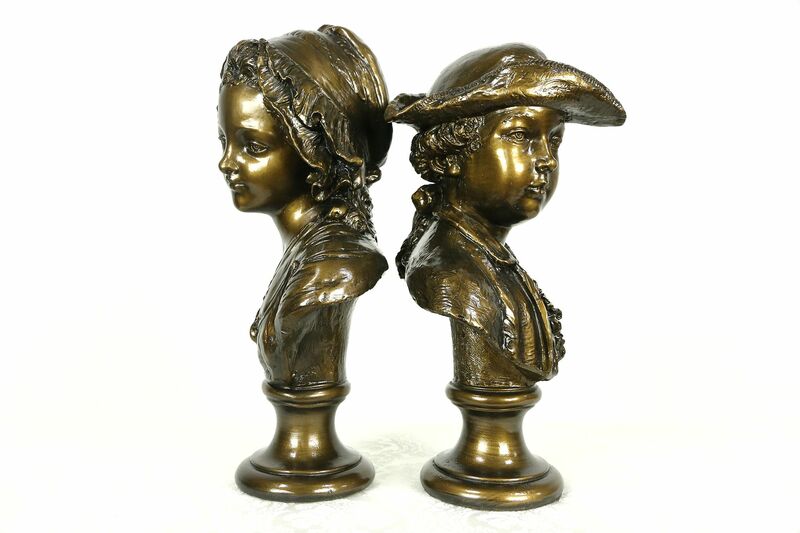 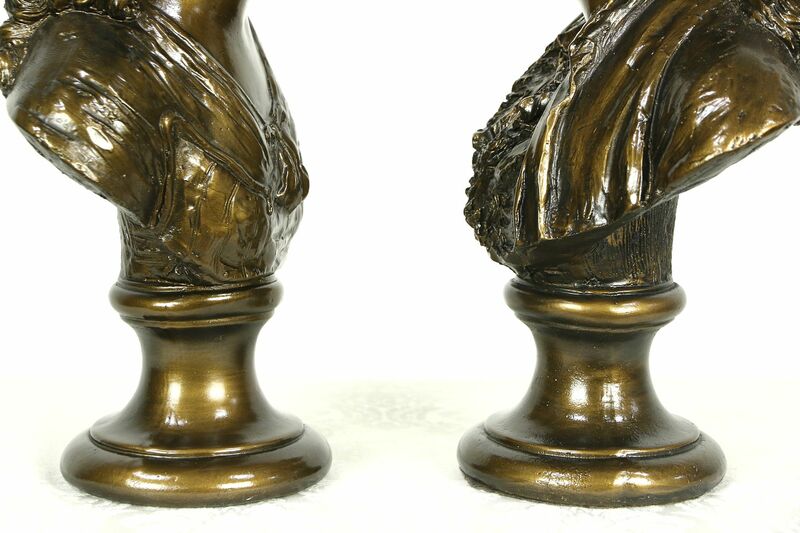 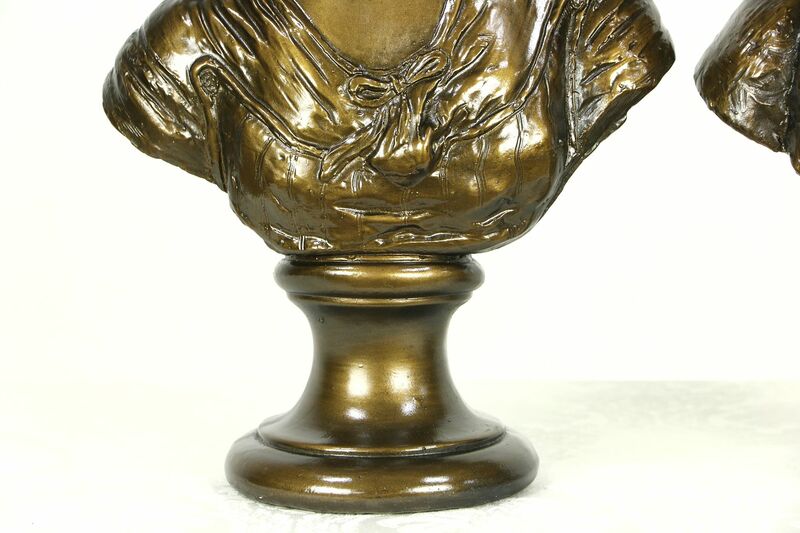 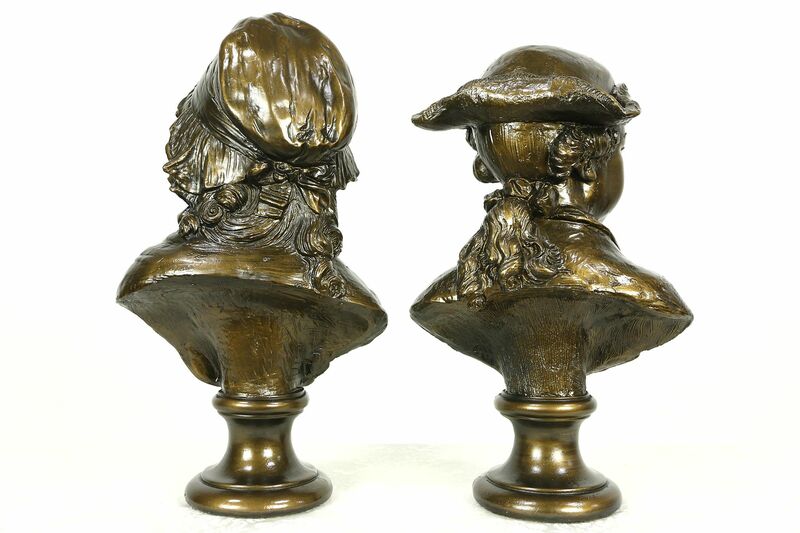 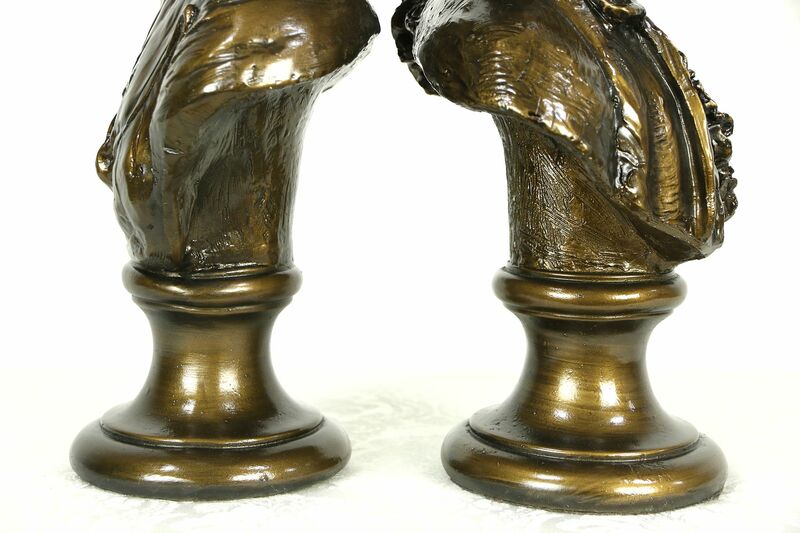 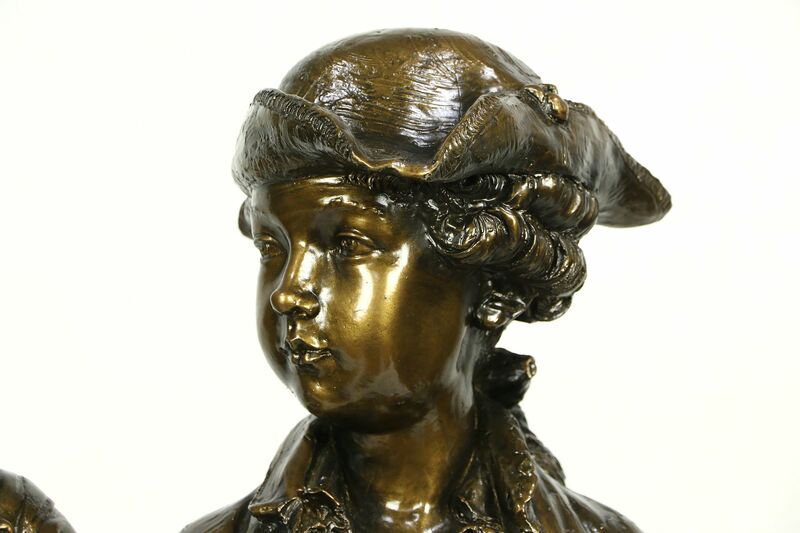 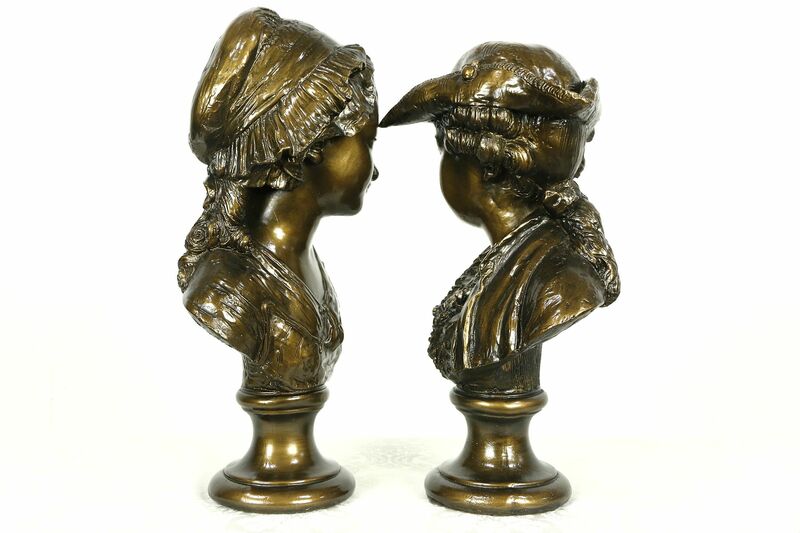 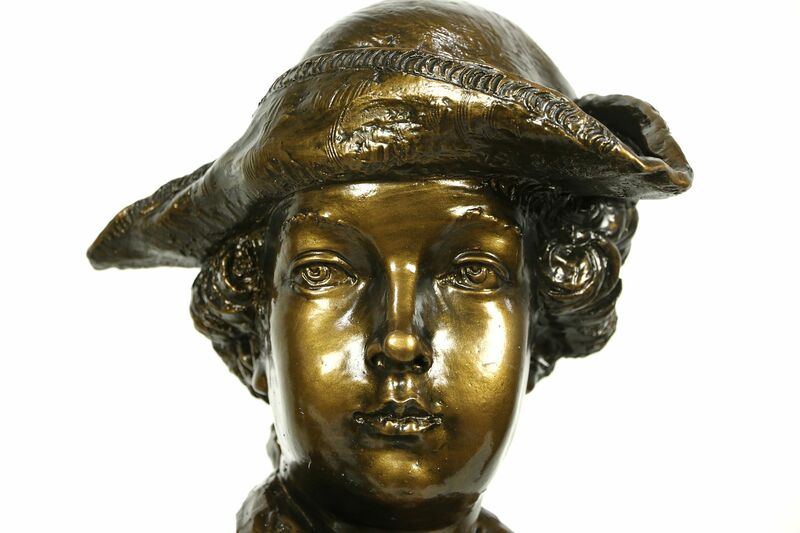 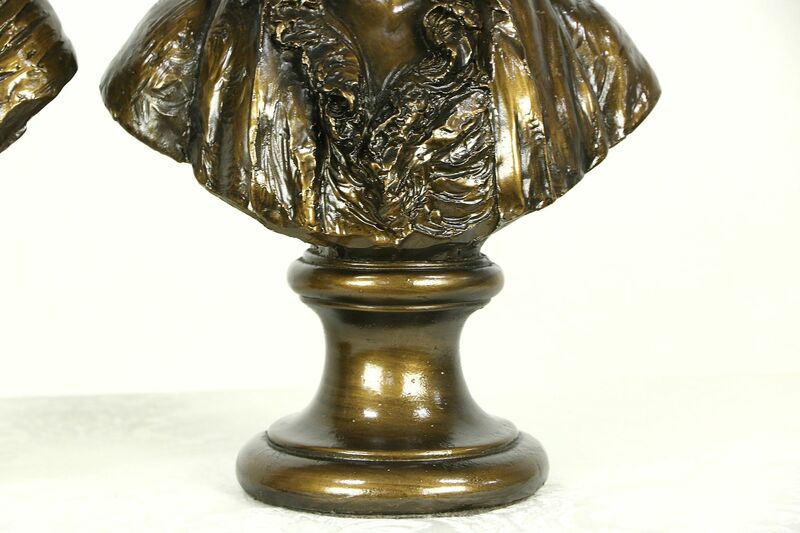 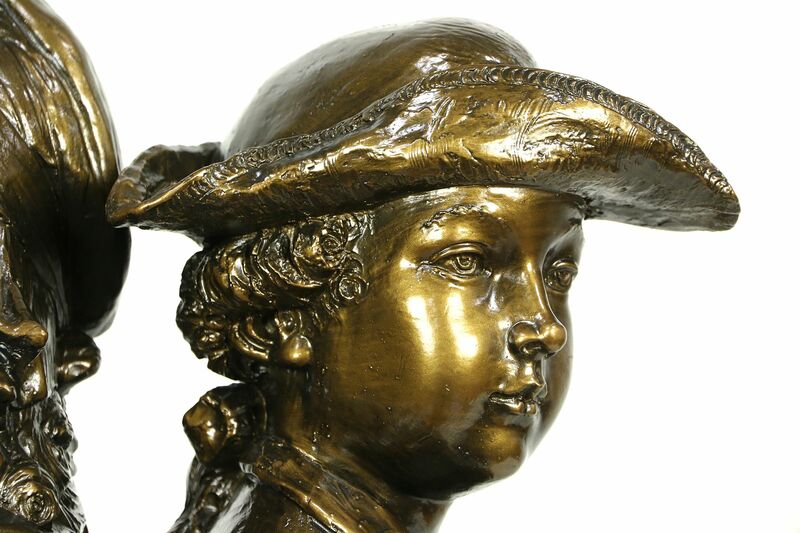 About 40 years old, this pair of busts depicting a boy and girl in 18th Century attire have an original deep bronze toned finish. 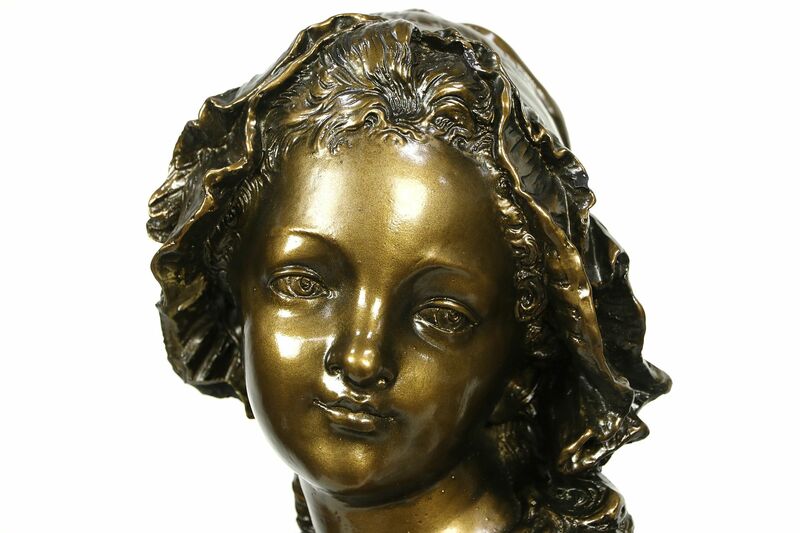 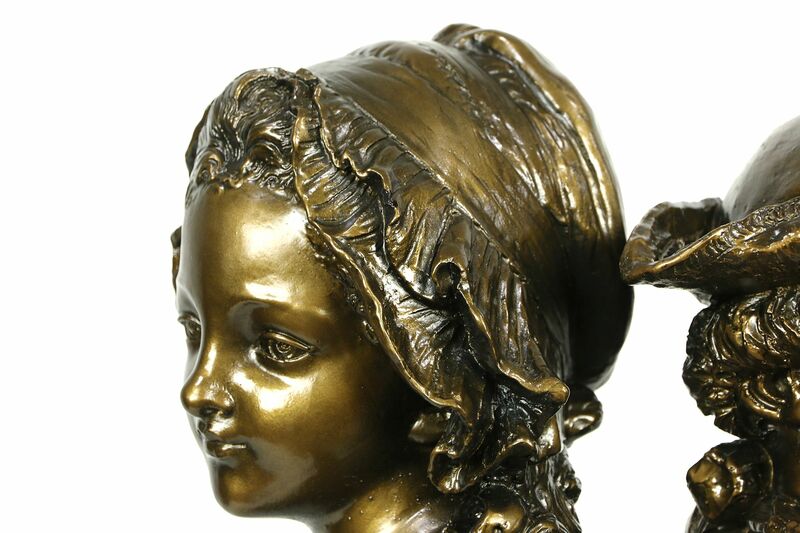 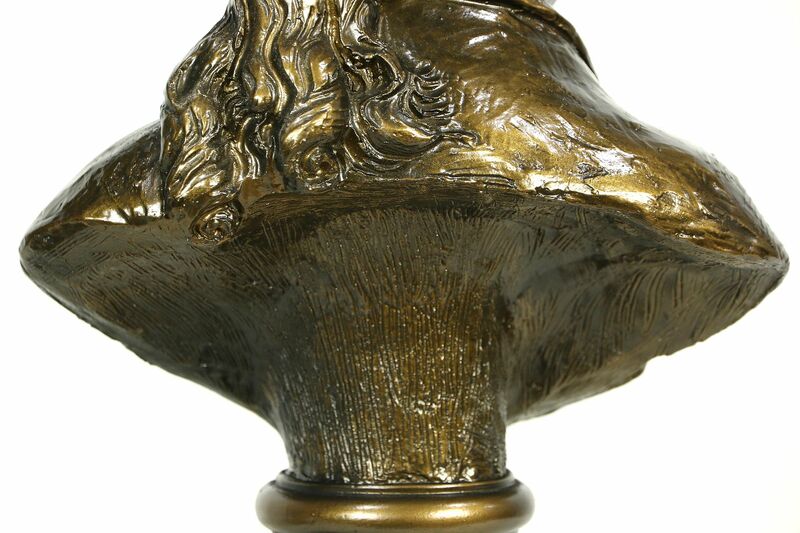 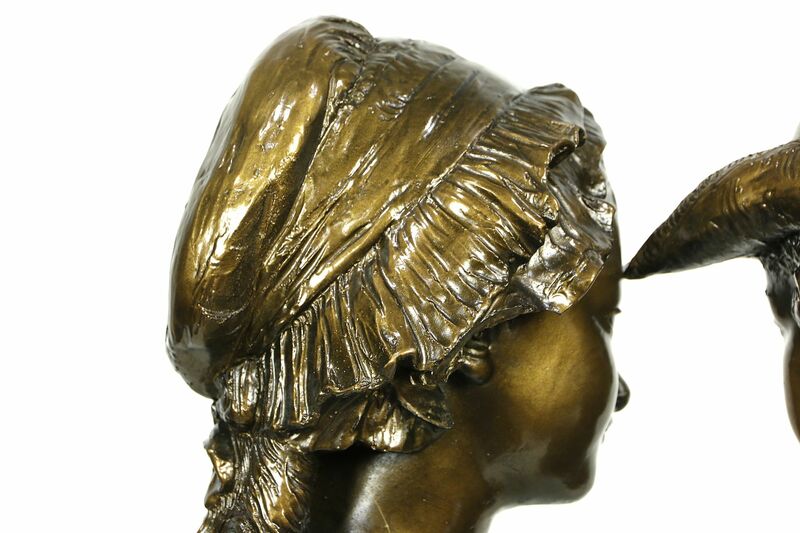 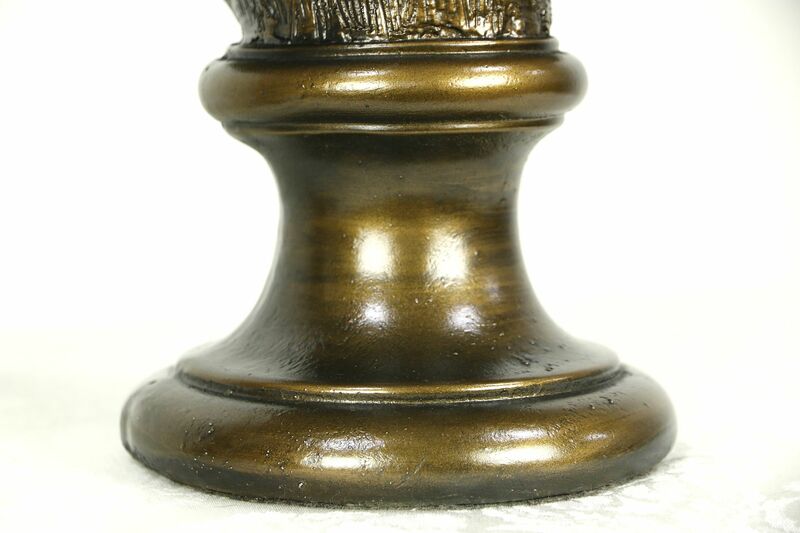 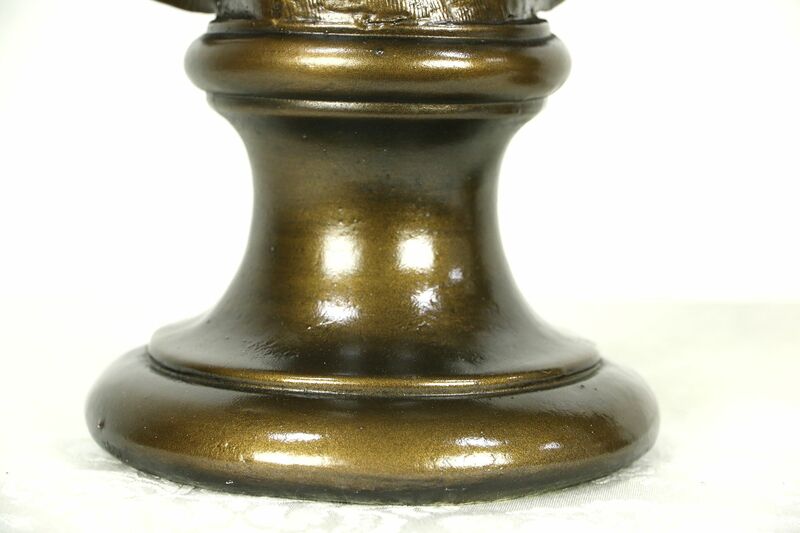 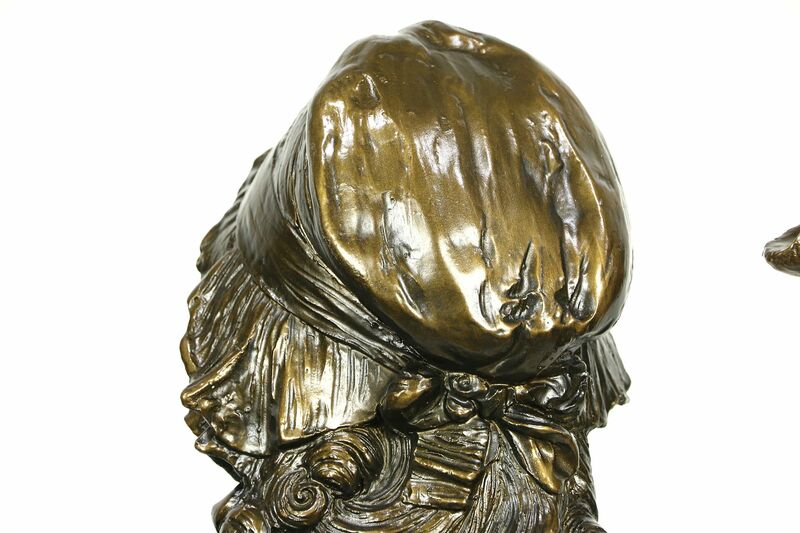 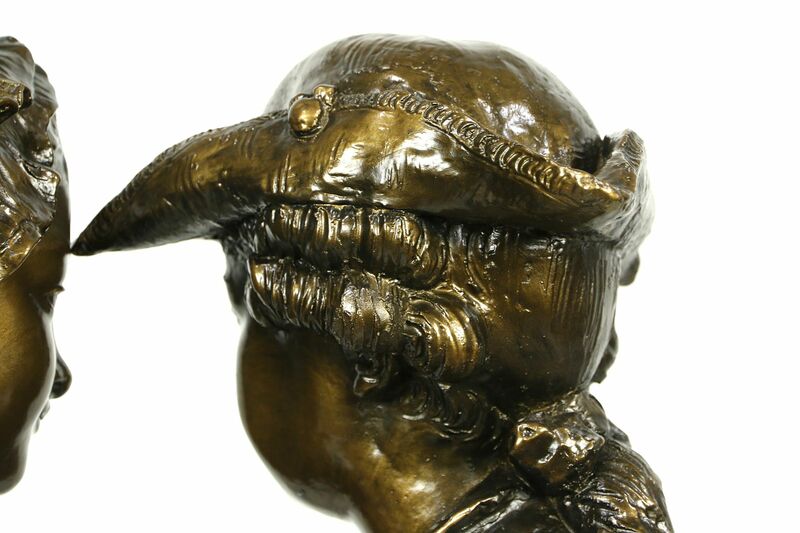 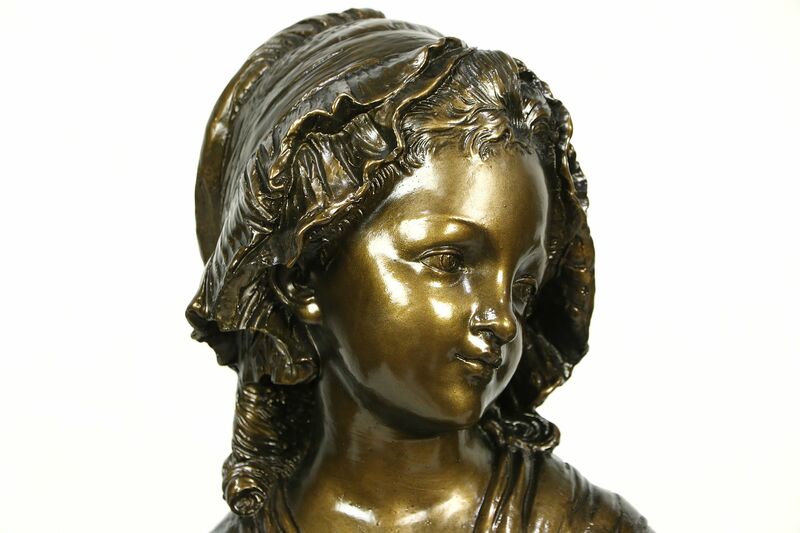 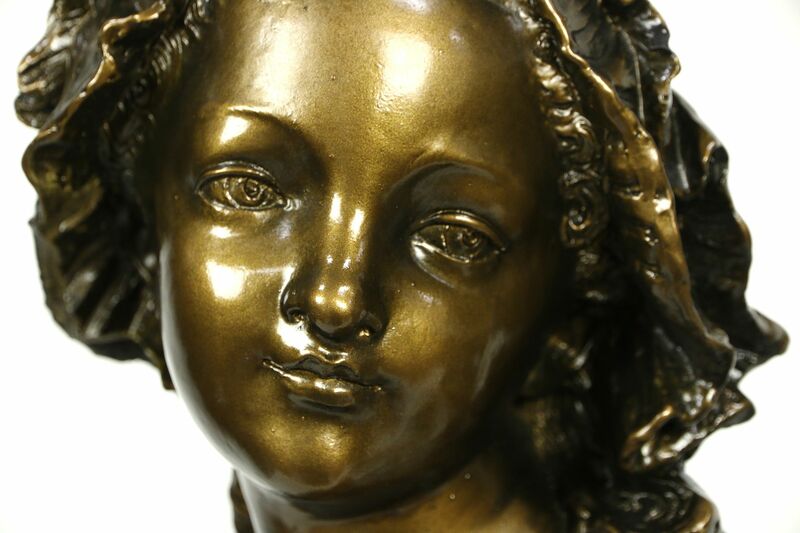 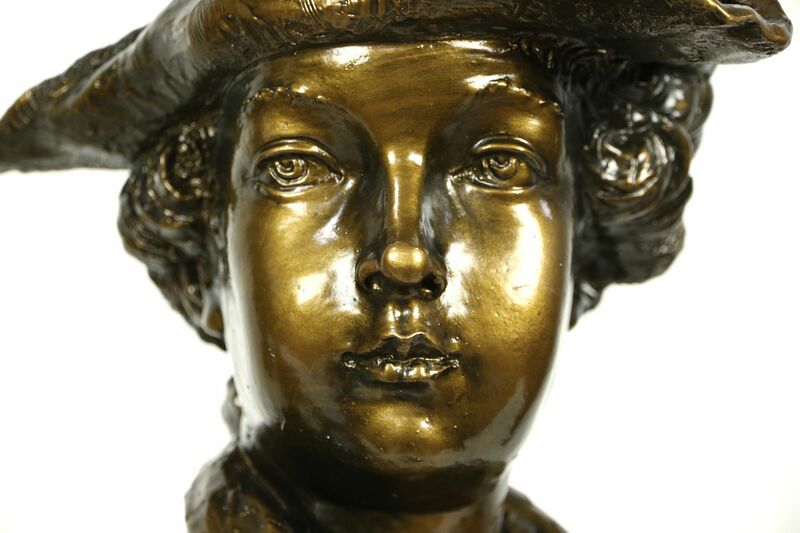 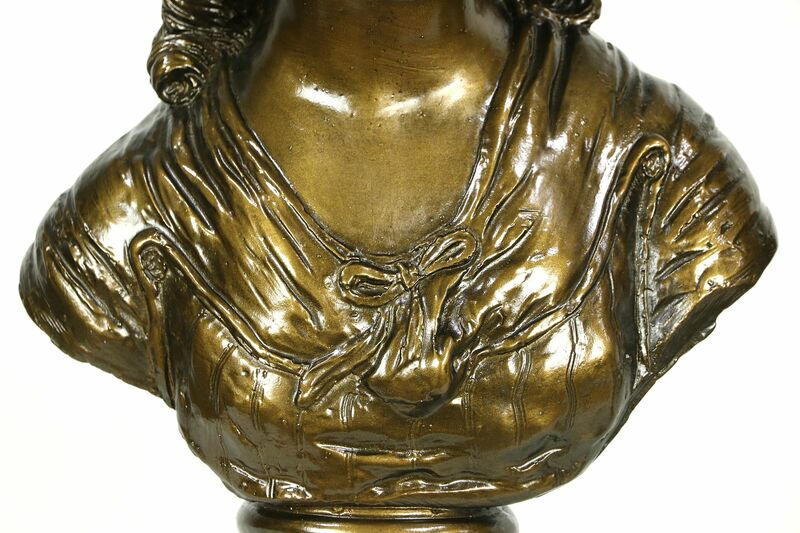 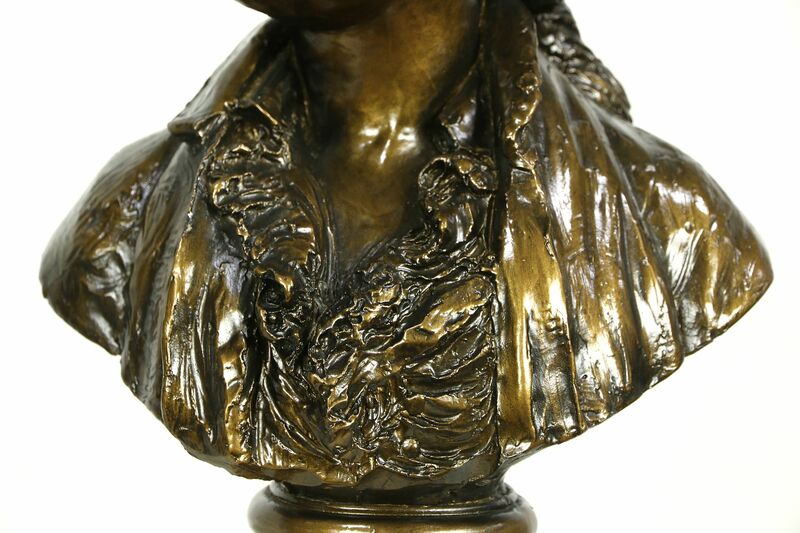 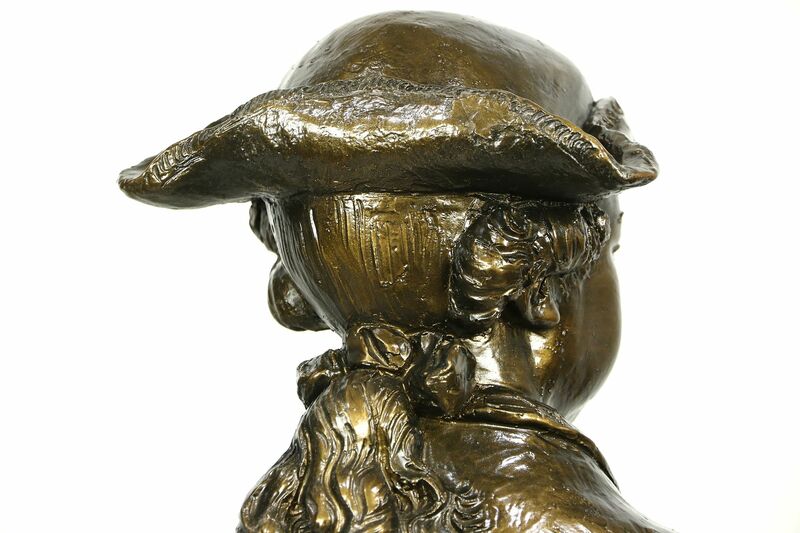 Molded of composition, these sculptures are finely detailed and delicately shaded. 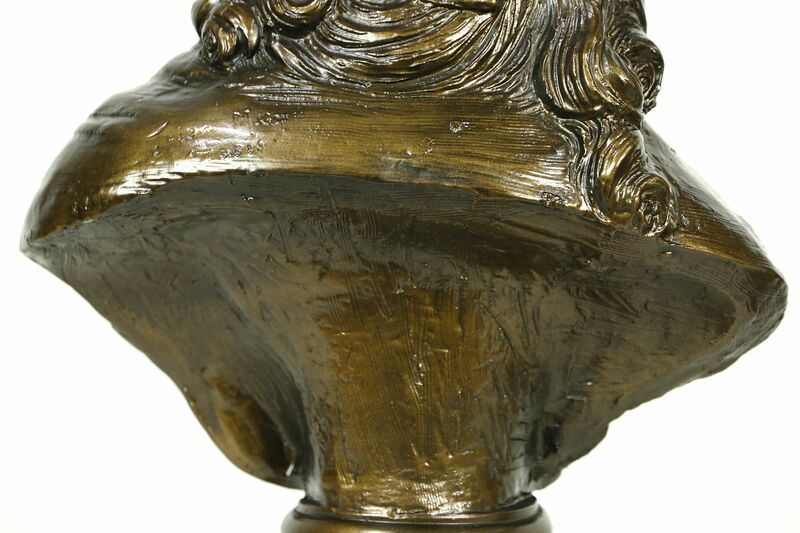 Size is 11" across, 10" deep and 18" tall.